Neosurf (www.neosurf.com) is a very popular online prepaid payment system that was initially launched in France but now operates across more than ten different countries, including Canada. Like other prepaid cards, purchasing one is as simple as walking into a local retailer that carries them and buying the amount you want. Many local retailers include grocery stores, supermarkets and convenience stores. Finding out who carries them in your area is as easy as going onto the main website, inserting in your postal code and heading to one of the addresses that pops up. What makes this a popular choice for casual players is the fact that you don’t need to have an account anywhere. And you don’t need to give away sensitive information. It’s a simple plug-n-play method where you insert the 10-digit code you get with your voucher into the casino deposit section (e.g. Platinum Play or Royal Vegas), choose how much you want to deposit and hit confirm. Currently there are two types of cards that you can buy. One is the classic prepaid card which comes in the following values: $15, 30, 50 and $100. There is also a minor or smaller card that only has values of $10 and $20. Which is great for smaller purchases. Neosurf also offers a plastic Mastercard version which allows you to upload money to it via a bank wire transfer, credit card or another Neosurf card. In addition to the above, Neosurf also has an online web account. You can open your own account there which allows you to spend, send and receive money. The only thing you need to open an account is an e-mail address and password. You can deposit into this account with a Visa, MasterCard, Debit Card, Bank Transfer, and Merchant Payout which have zero fees. Also – with a Neosurf Voucher, but that is a 4.5% fee associated with the option. You can withdraw from the account to any Neosurf Merchant, Neosurf Voucher, NeoCash Card or Bank Transfer. The Cash Card and Bank Transfer have a 2 and 1.5% fee respectively. Please keep in mind that the MyNeoSurf is an optional feature! The number one reason why this is such a popular option is because of the time-frame of deposits and withdrawals. And also – their associated fees. When compared to other prepaid methods, the cards require no accounts. So you give out no sensitive information and the deposit time-frame is instantaneous. If you do choose to open an account, which is optional, the fees of 4.5%, 2% and 1.5% are very minimal when compared to competitor rates. 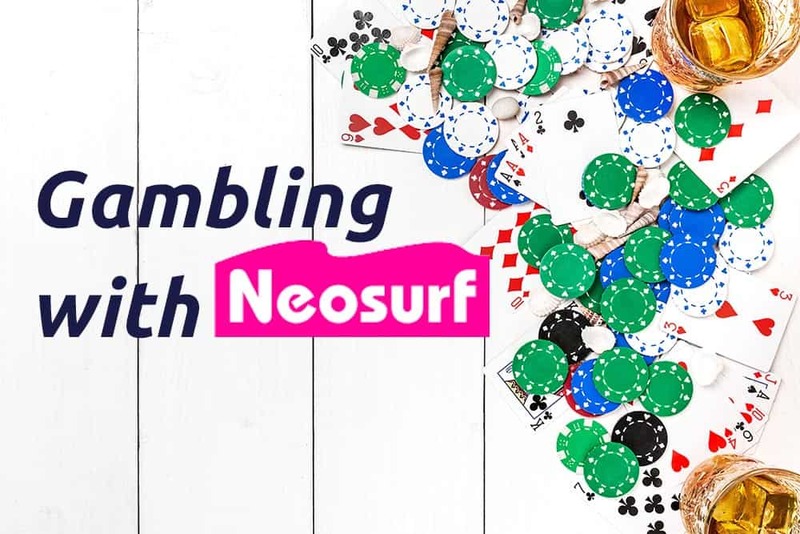 The only drawback to Neosurf is that a lot of the main online casinos allow to make deposits with Neosurf but do not allow withdrawals. This means that if you choose to deposit with Neosurf, you will need to pick a different withdrawal method. This is the main reason why it’s a really good option for Canadian casino goers who play casually. And who won’t be withdrawing large amounts or withdrawing very often.